Surveys show that 75% of users never scroll beyond the first page of search results. While a good website structure, type of content and ways of promoting it are important, all that effort is negligible if your website is not visible. Though good businesses are not made overnight, SEO is a good way to get consumers to notice you and get them talking about you. The higher your website ranks on search engine results, the more traffic leads your brand will drive. Most consumers browse the search engine repeatedly before making an actual purchase decision. If your website isn’t even visible, your competitors will directly get all these customers. SEO provides you visibility in the early pages of a search engine that helps drive consumer decisions. Some corporations spend billions on researching market demand. Investing in SEO helps you gain direct access to what the target audience is specifically searching for as well as how many people are searching for products and services related to yours. SEO provides customer insight by showing you the factors that you can use to drive customers towards your business. If a website is visible in the first couple pages of a search engine, people directly see it as dependable and trustworthy. And once they find something they like, that meets their needs and can be trusted, they usually talk about it to their friends and family. SEO initiates this word-of-mouth marketing technique that helps get your brand out there and into the mind of potential customers. Relying on other forms of marketing strategies such as print media or offline media would mean having to wait for returns. In today’s digitally oriented world, investing in SEO ensures that maximum no. of internet users who are looking for things similar to what you offer, will know about you. In this way, SEO helps your business grow faster and ensures that you do not have to sit around waiting for ROI. Search engines up to the keywords that consumers are searching for and suggest products and services similar to those. SEO helps your website stay on the early pages of these suggestions. Once this leads consumers to your website, your only job is to convince them why you are better than your competitors. Since consumers were already looking for services similar to yours, this helps convert consumers to potential customers. Spending on other forms of online marketing such as social media ads, purchasing leads, pay-per-click advertising, etc would be difficult for start-ups as they are usually low on funds. SEO helps you achieve organic reach on search engines as well as build a following without paying for ads by optimizing a site using relevant keywords, user-friendly design, and other top building blocks. SEO helps your business rankings go high; and once that happens, your business automatically becomes more valuable for your customers as the rankings work as an asset. If your business is getting searched online a lot, prospective customers will interpret you as a leading business solution provider. In this way, SEO investment increases the value of your business. Social media and email marketing both require continual efforts for generating leads. However, once your website is SEO-optimized, you can let it climb the rankings on its. There are other factors such as competitiveness of the keyword(s) you’re targeting, and the quality of the content on the page that determine your ranking, but SEO gets you highest ROI with comparatively less input/efforts. SEO works on target marketing. When the targeted audience increases, the conversion rate will also increase and it will lead to a rise in sales volume. This will help increase the overall profitability of the business. The ROI will also increase which will encourage you towards more SEO investment, thus increasing future revenues. In the world of online marketing, the best way to prepare your business for success is by creating a solid presence in search. 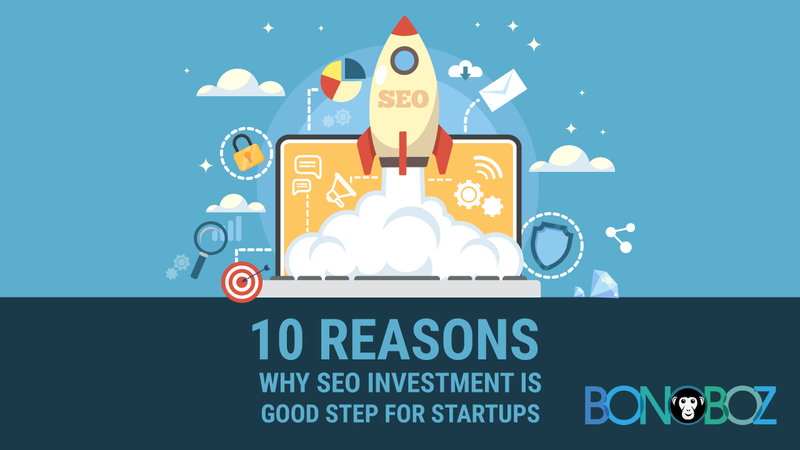 While SEO investment is equally beneficial for well- established businesses, it is truly any start-up’s best friend in building an online reputation. If you agree that SEO investment is a good way to kick-start your business, contact us to help you do it better.